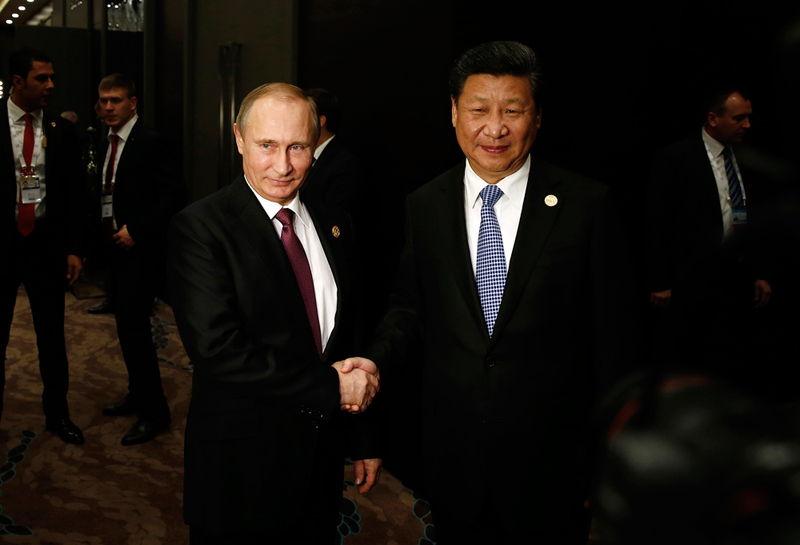 Russian President Vladimir Putin (L) and Chinese President Xi Jinping (R). All eyes will be on Vladimir Putin’s formal talks with Xi Jinping and his informal meeting with leaders of other BRICS members. Leaders of the world’s largest economies will meet at the G20 Summit in Hangzhou, China on September 4-5. The theme of the summit will be the building of an innovative, viable, interconnected and inclusive world economy. The summit promises a number of important meetings for the Russian President. One highly anticipated event is the first meeting between Vladimir Putin and Theresa May since the British Prime Minister took office. Putin will also have an informal meeting with the leaders of other BRCIS members during the G20 Summit. “Russia is the world’s main developing economy, and its presence at the G20 will have a great impact on the global economic order, and the resolution of global economic difficulties,” Gui Congyou, director of the Department of European-Central Asian Affairs of China’s Foreign Ministry, said. Considering Russia’s economic issues over the last few years, the validity of statements about Russia’s leading role could be doubted. Such statements are more of a testament of improving political relations between Russia and China. The official from China’s foreign ministry also noted that there would be a planned meeting between the heads of state of Russia and China, during which further Sino-Russian cooperation will be discussed. These meetings will highlight the signing of new intergovernmental agreements, which will mark a new milestone in the relations between the countries. The anticipated topic of conversation between the two leaders will be the idea of connecting the Silk Road and the Eurasian Economic Union. There is also likely to be discussion of a greater union that would include the Shanghai Cooperation Organization, the Eurasian Economic Union and the Association of Southeast Asian Nations. This is Russia’s concept for a greater area of free trade in the region. Russia will be hoping for a breakthrough in its efforts to integrate the Eurasian economic space. Anton Tamarovich is a freelance journalist and a project researcher with Minchenko Consulting. Views expressed are personal.